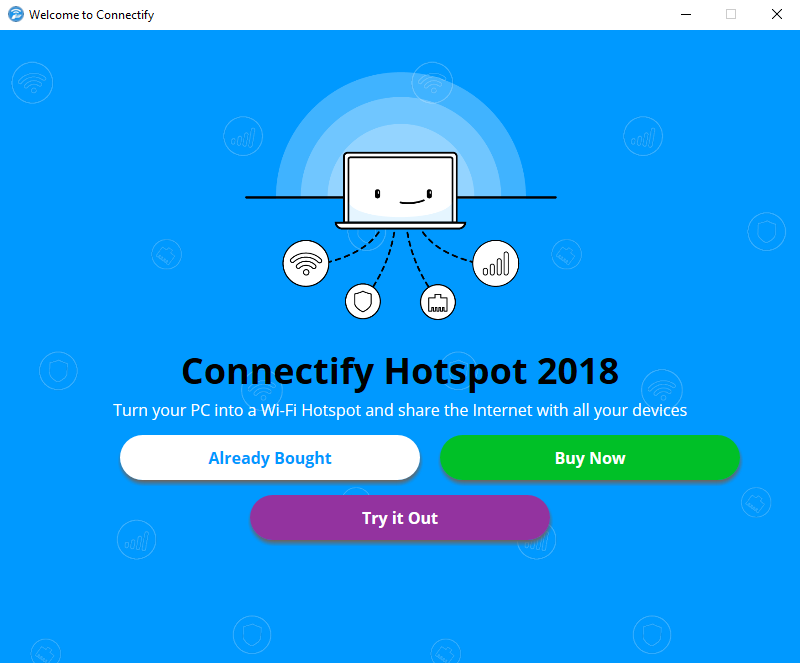 Read below the ultimate guide on how to upgrade your Connectify Hotspot software on your Windows computer. 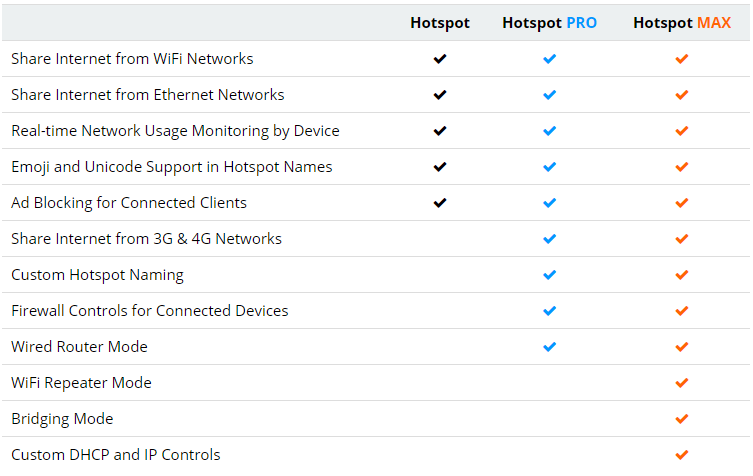 Connectify Hotspot can be used for free successfully to share Internet from WiFi and wired Ethernet networks, and it also includes the universal ad blocker. If you need more advanced features, you should consider upgrading to the PRO or MAX versions - see the comparison table above. Please note, since you have changed your Connectify license then it is important that you activate your new license. Learn more about Activating your License here. 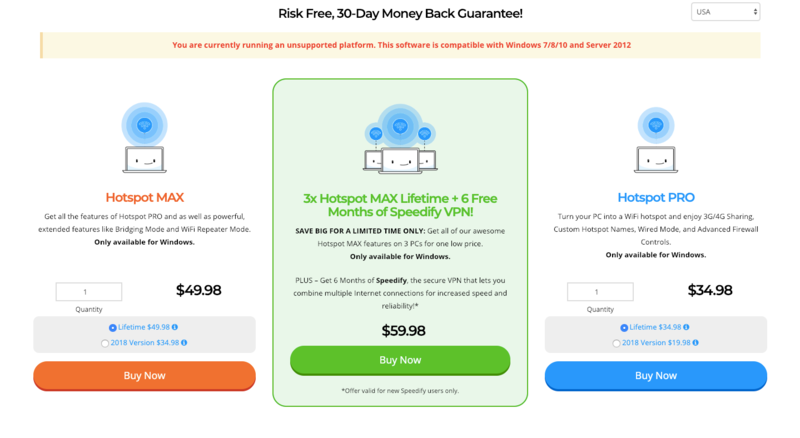 If you already have a Connectify Hotspot PRO license and would like to get a Connectify Hotspot MAX, you can buy the Connectify Hotspot MAX license from our Store. It will be added to your account, separately from the PRO one. Learn more here. Now, all that needs to be done is to activate your Connectify Hotspot Max License by clicking Tools> Activate License> and choose the Max license. Learn more about Activating your License here.